A recent call by the Ministry of Education to realign its Sports calendar, thereby switching Rugby 7s game from Term 2 to Term 1 may, after all, be a blessing in disguise for Nairobi's elite school competition Prescott Cup, the corresponding Damu Changa as well as the second tier Damu Pevu that are traditionally played in term 2. 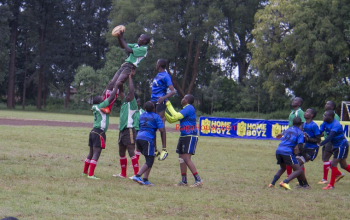 The recent changes have since been effected by the overseers of the school games - Kenya Secondary School Sports Association (KSSSA) - meaning the schools 7s game will be played alongside the 15s game on the same weekends. While there was a lot of hue and cry over the combination, as schools may have to make a choice over which code of the game to concentrate on, those taking part in the Prescott Cup have a different view of the changes as term two is all but free from any rugby. The competition in recent years had diluted dangerously to, more or less a walkover sport, as no-shows overrode actual played games. Participating schools prioritized the KSSSA schools 7s game thereby not honoring fixtures across Prescott Cup to Damu Pevu. A case in point is, a three-time champion Alliance made it to the knockouts in 2018 without playing any of their five preliminary games. Awarded wins got them to the quarterfinals. Two last eight games were never played as well as one semifinal clash. As seen by Raga House, draws and fixtures for Prescott Cup and Damu Pevu for next term are already out and locked. Last year some schools hosted part of their five games, traveled for some and played others over two festivals. This time round the competition will be played in festivals on five selected Saturdays where all participating teams converge at a chosen venue. The top four teams will enter the knockouts, and those that triumph from the quarters proceed to the semis then finals. Three separate match days are reserved for this. Ten Schools banded in two pools each will feature in Prescott Cup and Damu Pevu. 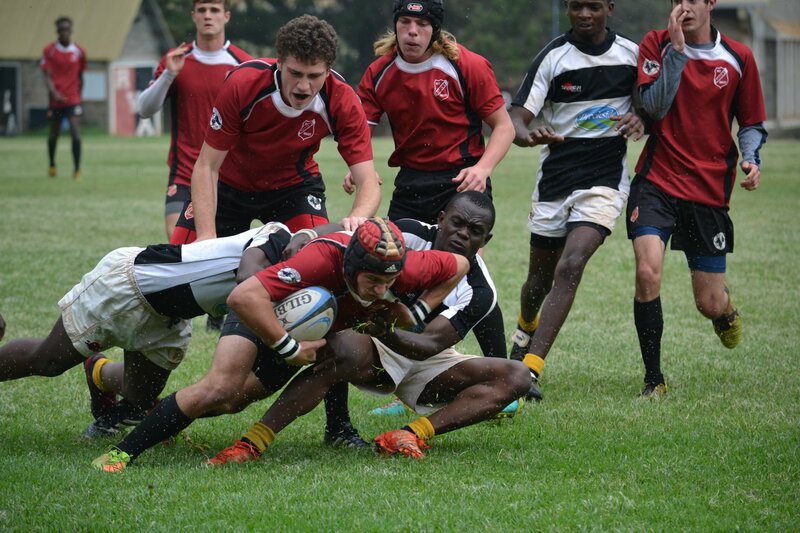 Prescott Cup champions in the last three editions Upper Hill School, unbeaten on the field since losing the 2015 final to Alliance, will headline pool A that is made up of Lenana School, Alliance High, Muhuri Muchiri and Strathmore School. 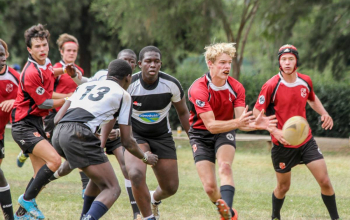 Rift Valley Academy (RVA), the runners-up in the last two years, highlights pool B. Nairobi School, Mangu High, Blackrock and Impala Floodlit champions Ofafa Jericho and the promoted Dagoretti High completes the band. 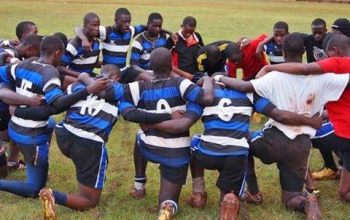 The 'B' sides of the same Prescott Cup schools will reference the pooling of Damu Changa. Upper Hill will kick start their title defense against Lenana School as RVA face off with Mangu in the opening weekend that is yet to be dated. Muhuri Muchiri will be up against Alliance as Ofafa start it off against Nairobi School. Being odd groups, Dagoretti and Strathmore will wait till weekend two to start their title charge. In Damu Pevu, relegated St. Mary's makes up pool A alongside Jamhuri High, Highway, Kiambu High and Laiser Hill who earned promotion from Damu Pevu II. Thika High, Aquinas High, Sunshine Secondary, Githiga High and promoted Langata High complete pool B.
St. Mary's and Jamhuri High will start off against Kiambu High and Highway as Thika High and Aquinas High get their ball rolling against Githiga High and Sunshine. Laiser Hill and Langata High will sit out the first weekend.